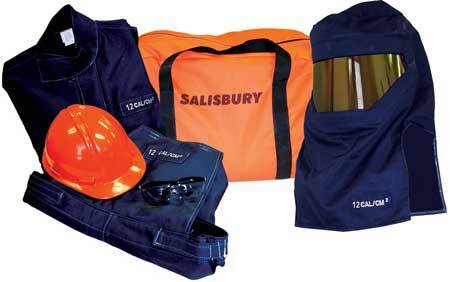 Salisbury offer a complete solution of Personal Protective Equipment (PPE) for all electrical workers. Salisbury personal protective equipment protects workers against electrical hazards as defined by OSHA Regulations and the NFPA 70E Standard for Electrical Safety in the workplace. The NFPA 70E standard and OSHA regulations have been established to protect workers from electrical shock and arc flash hazards. The NFPA 70E standard specifies specifies areas where arc flash protection is required for workers involved in the maintenance of energised or potentially energised electrical equipment - all workers within these boundaries MUST wear the specified protective equipment. The intent of NFPA 70E regarding arc flash is to provide guidelines which will limit injury to the onset of second degree burns. Many workers working on energised equipment are injured and/or killed each year. Several of these casualties are a result of arc flash. Arc Flash is considered as one of the most destructive and dangerous instances when dealing with electrical wirings. 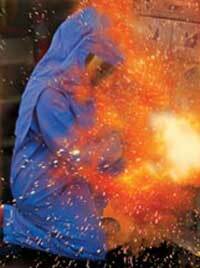 A single occurrence can destroy metals and it has the ability to kill a person if not protected by Arc Flash Clothing. An arc flash can create an arc blast that can shatter anything because it is as hot as the as surface of the sun. This kind of heat can destroy metals instantly and completely burn a body beyond recognition. An arc flash may happen instantly and if the worker does not have the correct protection, they will already be dead when the arc flash hits them. The use of Arc Flash Protective Equipment will lessen the damages caused by an arc flash because all of these equipments are solely made to withstand the heat. 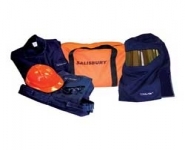 Therefore it is of high importance for workers to be wearing the correct personal protection equipment. * According to the International Social Security Association and national regulations, employers must incude arc fault protection in the risk assessment. If this risk assessment shows that there is a risk of an arc fault, employees must be provided with suitable personal protective equipment. Working on electrical systems and switchrooms at 500 volts, live testing and proving dead on electrical systems, fitting and removal of LV-HV earths on electrical systems, working on panels/control circuits with exposed energised conductors, removal of bolted covers from energised electrical equipment, racking in/out of switchgear, racking in/out of starters and control gear, live testing and proving dead on electrical systems 11-33kV - T&D UK stock a broad range of Arc Flash Clothing and PPE.